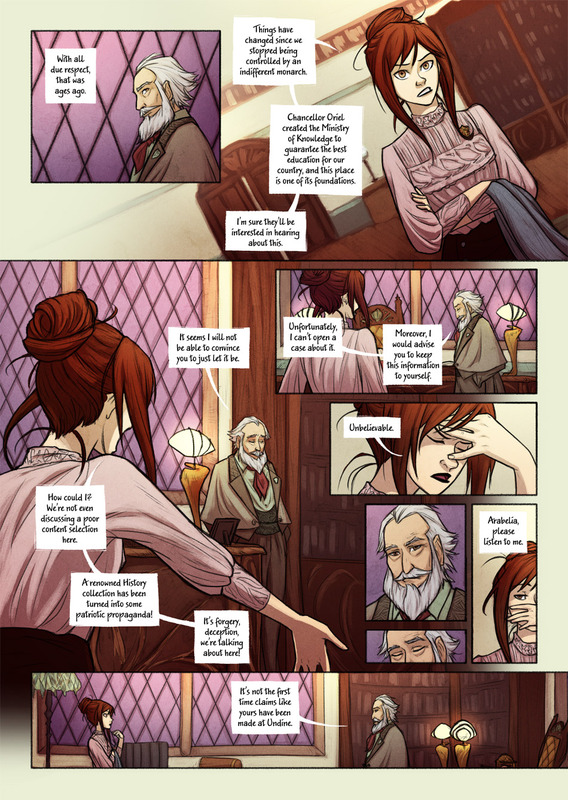 A bit more on the Bookwyrms world politics and history right after calling Professor Hemlic ancient. Still, he finally breaks down and tells us something interesting! I don’t care how old the Professor is, it’s one thing to not get your knickers in a knot over a small unimportant matter and an entirely different thing if the library contains forgeries. He hasn’t even bothered asking Arabella any details. He seems suspiciously to know what’s going on and not even care. He might not be in on this but his complacency does him no credit.